defense starts to notice your skills, they make adjustments that lock you down. Or, at least limit your scoring opportunities. Maybe you’re not so good, yet. You barely made the team or you’re fighting to make the team. You want the respect of your coach and teammates. But most of all you want to get off the bench and into the game. Either way, you get into the gym and work on your techniques with someof the drills you learned at camp, or from your coach, or from your parents. benefiting you? Are you using that time in the gym as efficiently as you could be? Are those hours going to convert into playing time? 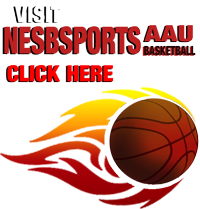 Tyrone Nesby Player Development follows a specifically designed teaching progression to meet you wherever you are in the game – from the basics to the highest level skills. 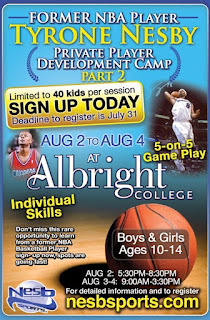 We’ll show you exactly how to lift the level of any of your skills – shooting, ball handling, 1-on-1 offense, 1-on-1 defense, passing, post play, scoring without the ball, and knocking down clutch free throws. Never waste hours in the gym again! It’s time to accelerate your skills training and squeeze as much improvement as you can out of those training sessions. Tyrone Nesby can help. Whether you are the star or you’re coming off the bench, your team really needs you. It needs you to be able to break down that great defender 1 on 1 for that crucial bucket. It needs you to find a way to get open for the momentum shifting three. It needs you to be able to step onto the court and contribute immediately. And, when you do you’ll get what you're after.